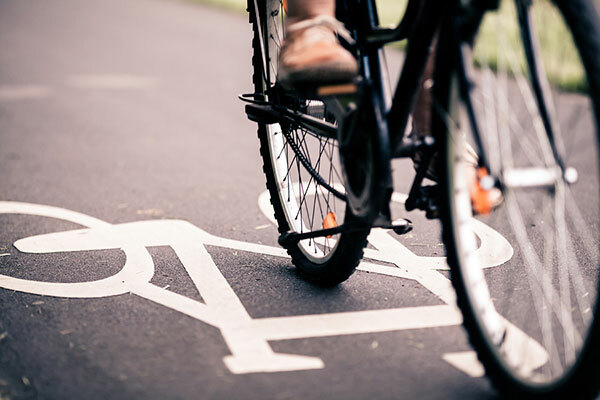 The Abu Dhabi Cycling Club plans to launch a bicycle lane project in the Al Dhafra Region, which will be implemented in Madinat Zayed, Sila and Mirfa, and will include a mountain lane on Dalma Island, a media report said. Dr Mugheer Khamis Al Khaili, chairman of the Community Development Department and chairman of the Abu Dhabi Cycling Club, recently explained the proposal to Sheikh Hamdan bin Zayed Al Nahyan, ruler's representative in Al Dhafra Region, reported Emirates news agency Wam. The proposals to construct the lanes, which will extend from 6 to 16 km, include the construction of a fenced asphalt bicycle lane that is 3-m wide to protect cyclists. It also includes the use of lamp posts, car parks, bicycle rentals, portable bathrooms, various kiosks and umbrellas for the pedestrians, as well as the planting of Ghaf trees to reduce the movement of sand. Sheikh Hamdan praised the club’s role in spreading the cycling culture and encouraging the entire community to participate, as well as in raising awareness about its importance and urging the youth to practice the sport, which is in line with the strategy of the Abu Dhabi Sports Council to support diversity in sports and discover, attract and sponsor promising talents, which will help increase the number of competitors taking part in competitions and events. Dr Al Khaili stated that the project is in line with the desire of the country’s wise leadership to effectively answer the community’s needs, provide social benefits and promote healthy lifestyles, by encouraging people to practice sports and raise their awareness about its importance, due to its positive effects on the daily lives of individuals.